Charlotte Harbor, Fla.-based FSHS Inc. announces the expansion of its line of low cost, reverse osmosis systems. The new CW500038 has 3/8” delivery from the tank to the faucet. This allows higher flow rates from the faucet. It provides increased flow without the sacrifice of quality. 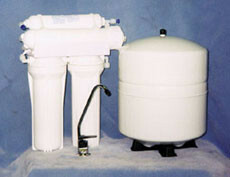 This unit features an NSF-approved 4-gallon tank and an NSF-approved 50 gpd membrane. This large capacity membrane and tank coupled with the 3/8” delivery ensures satisfaction and eliminates calls for no water and a slow recovery.